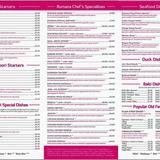 Did you know you can now order your Just Eat takeaway from Rumana Indian Cuisine here on View? 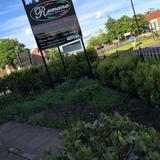 Do you work at Rumana Indian Cuisine? 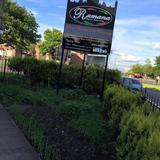 What did you think of Rumana Indian Cuisine? I am soo pleased i ignored the negative comments below, i to bought a group on voucher and when i called up to book a table i was told they only had tables available after 9pm, i turned up at 8.30 and sure enough the place was packed out, had to park at the petrol station next door as there wasn't any parking space at the car park, the place was very modern looking and not like other Indian restaurant iv been to that's dark and dingy, was sat down at the bar and was given drinks and told how the voucher works, pretty straight forward stuff, £24.20 off ya bill and anything left over you pay. Starters were amazing! i recommend the lamp chops, maincourse was nice and lemon pilaw was to die for, service was fantastic, everything on time, nothing late or cold all in all had a fantastic time, the owner even came over and had a chat with us for abit, when i mensioned there were a few bad things written about the booking system they have the owner explained that they sold over 2000 group on vouchers and people often ring up on the busy days (thurs, fri and sat) and expect to get a seat when they want even tho they have been told to book early. All in all i really enjoyed it and i would recommend everyone to try it out (if you mension its your birthday they even do a song and give you ice cream). Best advice i can give is if you have a group on book up as early as you can to avoid dissapointment and dont be surprised if you call up on the day expecting to get seated straight away, iv been there twice already, thursday and saturday and both days the whole restaurant has been full. We are regulars at the Rumana and have been since it opened. The quality of food and service have always been of the highest standard and we have never had any reason to complain. No matter how busy they are, the manager always finds the time to have a chat and the staff are always smiling. We will keep on going back and, to those who posted the negative comments, try paying the going rate for your meals instead of using cut price vouchers. As in everything else in life, you get what you pay for. 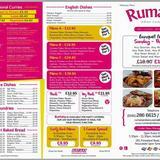 I went back to Rumana on the 15th of November to try the buffet after having a lovely meal on a Groupon voucher. The buffet was very nice with a good variety of food and we got ice-cream or coffee included in the price of £9 per head. The only criticism I would have is that we took our 9 year old son with us and he had to pay the same price for the buffet as we did when all he has was a couple of spoons of rice, a few chips and a couple of slices of tomato and cucumber. Half price would have been more acceptable for a child and that is why I have dropped my rating from 4 stars (in the voucher) to 3 stars for the buffet. Would still recommend the buffet or the Ala Carte menus though as the food is very tasty and the service can't be faulted. I attended this restaurant on 5th November 2011, there were 8 people in our group. We used 2 Groupon vouchers which essentially gave us £72 off the bill. This was done with no fuss whatsoever; I was apprehensive about going on Groupon due to some reports that this negatively effected service, but I did not find this at all. The staff were very friendly and attentive - we were served drinks whilst waiting to be seated, and the waiter took our order well considering that we had a mixture of dishes including popadoms, starters, mains and sides. Food came out in good time, and there were no mix up with orders. I had a Chicken Caylon which was very nice, and a couple in the group had the tandoori mixed grill which tasted nice too (and was not greasy as this dish can often be). We did pay an additional £130 on top of Groupon, but this was because only 6 people were on the Groupon (as expected), and we drank quite a bit too! For 8 of us, this was very good value. All in all a very good meal and will be going back soon. I purchased a Living Social voucher for this restaurant and when I read all the reviews on here I thought maybe it wasn't such a good idea. I went tonight with my husband and son and had an extremely nice time. We were welcomed with a friendly smile and after looking through the extensive menu and placing our order we were promptly shown to our table. The food arrived in a very timely manner and the staff were very attentive and friendly and the owner spent quite some time having a chat with us. The food was absolutely delicious. We liked it so much we booked a table before we left to go back next Tuesday and try there buffet for £9.90 per head. I bought the living social voucher for £8 and for that we got 2 glasses of wine, 2 starters and 2 mains. We had to pay for extra drinks, rice and naan and that only came to £14:00. I would definately encourage people to try this restaurant. I am so angry which is why i registered to have a rant about rumana. I totally agree with the negative comments below. I am fuming with Rumana restaurant. First I went with family and friends and spent £300. They got our order wrong and some items did not come out however we still paid for them. The manager seemed happy and wanted to be in a picture with us so he could put on his wall. Second time We went with groupon voucher the manager was quick to forget the first time we went and the service was a little slack. Third time we went with groupon 6 months later the service was appaling especially when they found out we were using a groupon voucher. They made us wait a hour to serve us then charged us a pound for a silver takeaway container when they didnt charge us anything the last time we asked for a container. I am fuming and feel like ringing the restaurant to give them a piece of my mind. Doesnt cost for friendliness and manners!! After all, thats how you create custopmer loyalty! 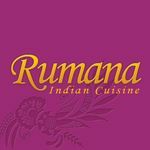 Just returned from having meal at Rumana and not very happy at all.As soon as we mentioned that we had a voucher from groupon we were treat with no resepct! we were hurried with our meal hadnt even finished our starter when they brought our main course! When we received our bill still had £30 to pay on top of our £20 voucher food not that good!!!!!! Specials were on 2 set meals for £13 each which was more food than we had ordered but cant have specials with voucher total rip off dont go there!!!!!!! We too bought a groupon voucher. To be fair the welcome and food was ok but strangely our bill came to £47.00 too!! We were charged £5.80 per pint of beer and £3.50 for a glass of coke!! We will never go back again!! We booked a table for 7pm and turned up ten minutes early. Asked to have a seat and given menus. Ordered drinks which were brought immediately but nobody interested in taking order. At 7.15 the 'manager' took our order and we were shown to a table. After several other tables, who were seated after us, were served and despite being reassured that our order was coming, we were still awaiting our starters at 8.15. At which time we advised the 'manager' that we were leaving and did not expect a bill. I can't comment on the food because it never appeared but to call service deplorable would insult deplorable. We called in at a take away in Washington on our way home and bought the same two meals that we had ordered, which took all of fifteen minutes to arrive and were excellent. Ventured to this restaurant after buying a groupon coupon, that was our first mistake, as soon as we mentioned we had the coupon the 'manager' lost all interest and if i'm honest was quite rude to us. The food was okay, nothing special. I would not return to this restaurant, the manager and his attitude totally put me on edge despite us paying an extra £27 on top of the £20 coupon we had, I would of been very disappointed if I had paid the whole £47 for that meal.